Daniel Ricciardo believes Renault’s 2019 F1 car is good enough to be consistently fighting inside the points in the opening rounds of 2019. Daniel Ricciardo believes Renault’s 2019 Formula 1 car is good enough to be consistently fighting inside the points during the early rounds of the season. 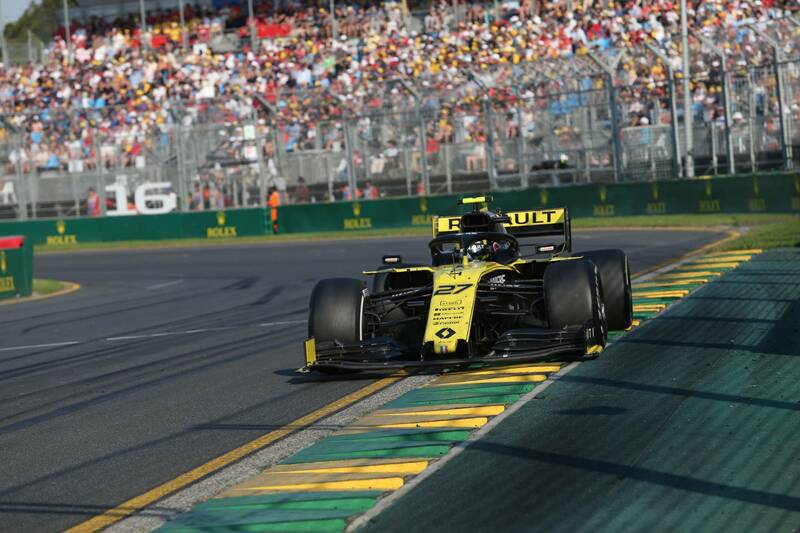 The Renault newcomer endured a debut to forget on home soil as he retired from the Australian Grand Prix as a precautionary measure after seeing his race pretty much come to an end at Turn 1 as he lost his front wing and plummeted down the order. Ricciardo, who said he will consider changing his preparation methods at future races in Melbourne after being left “drained” ahead of the first round of 2019, was left encouraged by the race pace of the team’s R.S.19. “The car belongs in the points,” Ricciardo said. “I think we should be a top eight car all the first part of the season and then hopefully better. “I think Bahrain will be a lot easier, it’ll be like a holiday week [compared to Australia], there’s nothing going on so I can actually prepare properly. “I’m frustrated because everyone expects so much but the reality was my race was over after five seconds. Teammate Nico Hulkenberg bagged Renault’s only points with a strong drive to seventh, leaving the French squad fifth in the constructors’ championship and two points behind Haas. “I was under big pressure at the end so I really had to fight to hang on for that seventh place,” Hulkenberg explained. “It’s a good start with six points but it showed that we have quite a bit of work to do to be competing even with these guys in the midfield pack. Renault team boss Cyril Abiteboul highlighted one-lap pace as its car’s biggest area for improvement as neither Ricciardo nor Hulkenberg were able to make it into Q3 during qualifying. “We’re leaving Australia with mixed feelings and a contrast of positive and negatives,” Abiteboul said. “The main negative was qualifying, where we had a number of issues that impacted our potential and starting position.